I recently got a ranger and am looking for a lift kit to put on it. Does anyone have one for sell or know of whats the best to use? Also, im kind of on a low budget as a college student. - 1-1.5" torsion bar crank. Superlift is +/- 2000 for the kit, drive shaft, and any maintenance you do at the same time. Used kits do pop up every now and then (that's how I got mine). A body lift is gonna be +/- 300 or so. Torsion bar crank is free plus the cost of an alignment. Above prices are just for parts, and assume you do the work yourself. It gets wayyy more expensive if you take it somewhere to have the work done. Since you did say "performance", Dixon brothers racing does make a long travel kit for the 4wd Rangers. It's gives you 2-3" of lift plus a **** ton more travel. It's not a kit for beginners though. It requires a lot of fabrication for the instal and it's expensive. I believe they run in the 3500 range, if you can even get ahold of DBR to order one. Last edited by jimmyspy; 03-20-2017 at 05:43 AM. i have some brand new torsion keys and lift shackles up for grabs. they`re new never used 1-3`` inch front and 2`` rear . 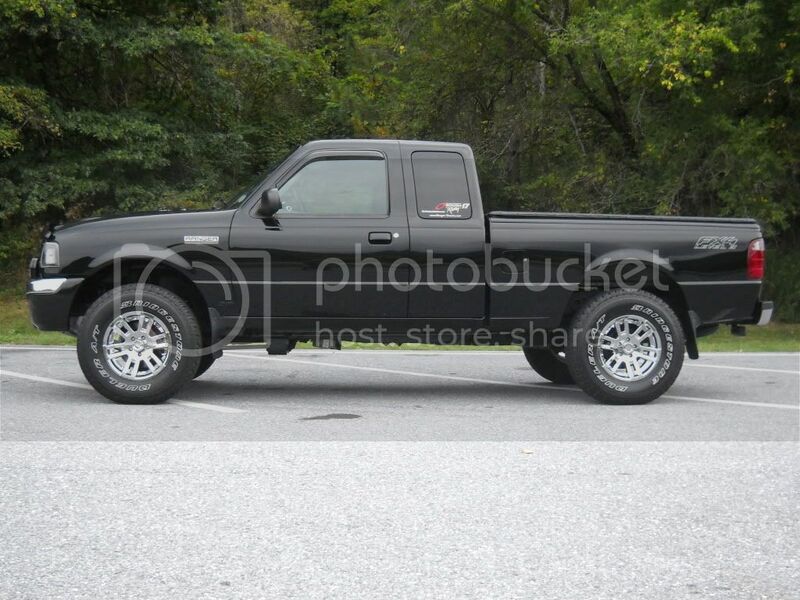 i sold the truck and i dont need them anymore so $220 bucks shipped . And it will fit my 1999 ford ranger xlt 4x4? Its a simple bolt on no fab work needed , just an alignment . This is with the lift i have. Not to kill a sale here, but those lift keys can be bad news, and are a touchy subject around here. Torsion keys for these trucks aren't really all that useful, and can be harmful when used incorrectly. They claim 3" of lift, but the stock front suspension cannot be adjusted that much without putting your CVs and balljoints at horrible angles. This causes increased wear and a horrible ride. The stock front end components (cvs, control arms, balljoints, etc.) only have room for 1.5-2" of adjustment before things start getting out of whack. And, you can get this adjustment using your stock torsion keys (I'm sure there is a thread on here about how to adjust them) for free. The only instances where aftermarket keys make sense are for post 2008 trucks, or trucks with severely worn torsion bars (even here they are a band aide fix). Again, not trying to stand in the way of a transaction, but wanting to make sure everyone is on level ground.